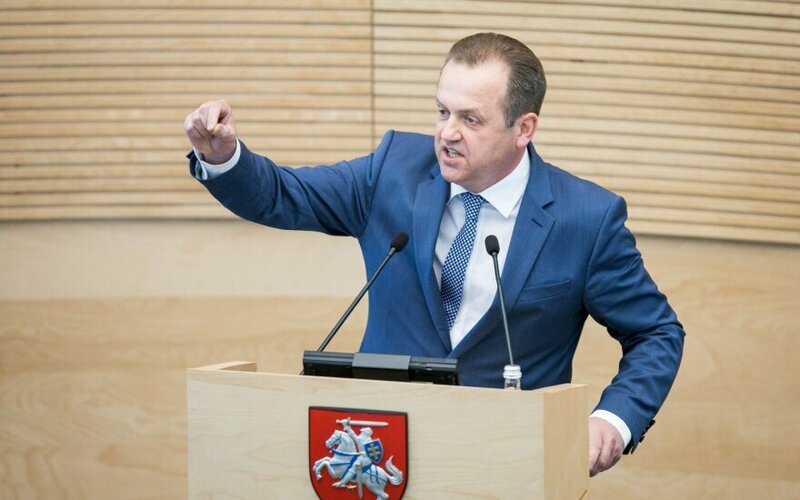 Prime Minister Saulius Skvernelis calls for a parliamentary probe into allegations that Arturas Skardzius, a member of the Seimas' Energy Commission, represents the interests of wind energy companies he leases land to, and for a broader analysis of business groups' influence on lawmakers. "We should carry out a parliamentary probe and then decide, based on the gathered facts, whether or not to refer the matter to law-enforcement. But from what is reported, the situation does not look nice at all," he told the Ziniu Radijas radio station on Thursday morning. According to Skvernelis, there appears to be a conflict of interest, at the very least. "If the allegations that decisions related to the passing, amending or suspending of legislation prove to be correct, we have that problem with offshore wind turbine development. If these allegations prove to be correct, this may mean a conflict of interest, at the very least," he said. The prime minister thinks that a broader analysis should be made to look into what influence businesses are having on lawmakers' decisions and what the scope of that influence is. "Perhaps this is one of those starting points. We have political corruption cases that raise a lot of questions and various scandalous facts. Thus, I believe that there will be such a discussion in the Seimas and it is already underway, or we need to set up a special investigation commission and look at this story from a much broader perspective," he said. 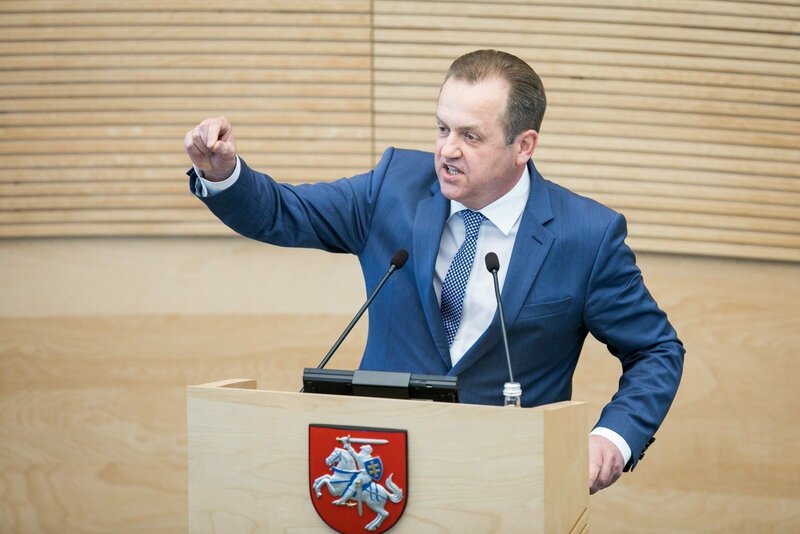 Viktoras Pranckietis, the speaker of the Seimas, on Wednesday called for a parliamentary investigation into Skardzius' links and the income he receives from wind power businesses. The 15min.lt news website reported on Wednesday that Naujoji Energija, the owner of a 2.3-megawatt 17-turbine farm in the village of Ciuteliai, in the western district of Silute, currently leases land plots from Renovacijos Partneriai. The latter company leases the land from local landowners, including Skardzius' family. The politician is paid 24,000 euros for the lease of almost 27 hectares of land annually. According to the website, the amount paid to Skardzius is 12 to 28 times above what is paid to the owners of adjacent land plots. All three involved companies -- Naujoji Energija, Energijos Versme and Renovacijos Partneriai -- were founded and are owned by the same people: Nijole Butovskiene, Dainius Jurenas and Romualdas Patalavicius or members of their families or their businesses. Tadas Navickas has been the CEO of Energijos Versme since 2009. All these people, except for Butovskiene, participated in the establishment of the Lithuanian Confederation of Renewable Resources (LAIEA) in July 2009. Skardzius, who was not elected to the 2008-2012 Seimas, was appointed as head of the association. The lawmaker insists that his parliamentary activities have nothing to do with the income he receives from wind power farm developers via intermediaries, saying that he only leases the land. According to 15min.lt, since 2012, Skardzius has been involved in the drafting of at least five pieces of legislation related to electricity and renewable resources and has tabled at last eight proposals related to this business area.